The world isn’t always as fair and as beautiful as we’d like it to be. There are lumps. There’s deformity. But for most, we can overlook or at least bear that unevenness, tolerate the bad by attending to the good. For some, though, that asymmetry in the world, that warped unsightliness can simply be too much. And just as the light can be too dull to banish enough shadows, so can it be too bright to reveal that crookedness the shade otherwise rounded out. 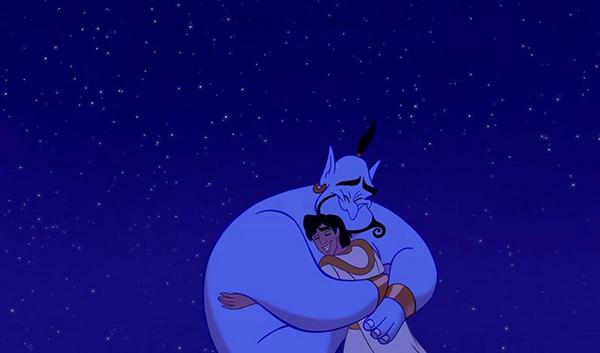 Two days ago, a comedic legend and hero of my childhood, Robin Williams, passed away. For me, he is one of the first celebrity deaths that really knocked around my ribcage. Mrs. Doubtfire. Patch Adams. John Keating. The Genie. It was his voice, his characters that made me laugh and recite quotes and want to be an entertainer. To hear of his death, then, and the manner in which it came, struck me. Although social psychology doesn’t study depression in the same way clinical psychologists do, there is insight within the field that’s applicable. For instance, one of the more common sources of depression comes from a low sense of self-esteem. And although there are a few theories that attempt to explain self-esteem, the one with the most support is called Sociometer Theory. Sociometer Theory states that self-esteem is a “gauge” we each have and use to judge our level of interpersonal value. If you have high self-esteem, you believe that people like you and that others cherish their relationships with you. With low self-esteem, you believe the opposite: others simply “put up” with you or in fact don’t want you around at all. From an evolutionary perspective, the development of self-esteem was integral to our survival. Because we were much more successful at living in groups than alone, we needed a way to evaluate whether or not other people wanted us in the group. Thus, self-esteem exists to alert us (often with feelings of emotional pain) in order to motivate us to correct or minimize our chances at rejection from social groups. When people are depressed, then, one of the main causes is their belief in their own devalued social contribution. Of course, there are many other factors that determine depression, but self-esteem is often foremost. Sadly, with self-esteem, though, it is an entirely internal belief. No matter how others may judge your accomplishments, it is you who determines your self-esteem. And if you believe that others don’t find you worthy, no amount of factual convincing can persuade you. Although I only knew of Mr. Williams from his movies and interviews, he seemed like a truly wonderful individual. And from the outpouring of love around the world, it seems in fact my perception is accurate. However, once one’s light falls on the malformed knots of this world, sometimes that’s all they can see. So let us take a moment to thank him for nonetheless directing his light for us on the contours worth seeing. Jake, a great piece as always. I too was struck by the loss of RW. I had insomnia for days afterwards. If this happiest of men could be In truth so despondent then what does that mean for the rest of us? I grew up with Mork, and Popeye, and all the rest you mentioned. There should be a different term for depression than that of “normal” depression from watching the Blazers lose. I have a gig where I host trivia and play songs during the breaks. On Wednesday after losing RW, I played several RW songs, Mork and Mindy intro, You ain’t never had a friend like me, Popeye the sailor. I heard a cry of “too soon” . I chastised the crowd for not celebrating a life. RW did indeed leave us too soon, but playing songs that remind us of the gifts that he gave us could not come soon enough. I think you made the right decision to play those songs. Without really knowing Mr. Williams, I believe he would want people to celebrate the memories he left, not the sorrow of his leaving. And I, too, agree that there are different levels/kinds of depression: that of a sports team’s loss certainly different than the tribulations people harbor. Mr. Williams was a good man, and we can honor his memory by working to infuse the world with the same joy he did. I think all of us were shocked with the way RW died. He truly was a comics comic. Tragic end to an otherwise stellar career. I also agree with Jumanji, the growth in your writing has reached a new level. And you need all the self-esteem you can get! Writing is hard. I leave comments because I blogged for two years about sports and analytics and I got…wait for it…one comment. One comment in two years…. And don’t think your comments aren’t appreciated! It’s always brightens my day to see a comment from you. And Jumanji would be an awesome nickname for you. Next time I’m in CA, we’re starting this. Haha Thank you for the kind words, my friend. Unfortunately, my ankles won’t permit my vertical to increase, but fortunately, weekly blog posts help me figure some of this writing business out. Thanks Jake. This answers my question! Glad to provide any insight I can.